It’s that time of year again…these crazy birds are landing on West Salem lawns FUNdraising for the Class 2016 Graduation Party. Great job on your report card! You can even include a personal note (however, the flamingo flockers will pre-read all notes to ensure wholesome fun). The flock will even make visits at graduation time, roosting only one day at each stop during this popular season. All special orders are first come first served, and must be prepaid – so get your order in TODAY! 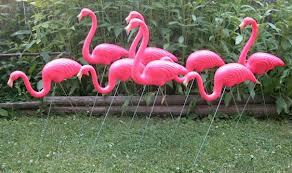 Download your order form here: Get Flamingo-ed!